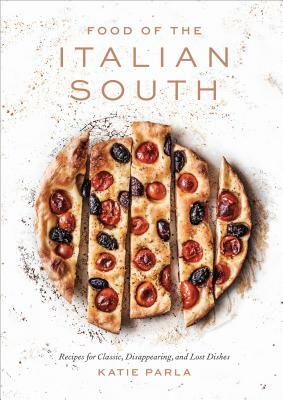 85 authentic recipes and 100 stunning photographs that capture the cultural and cooking traditions of the Italian South, from the mountains to the coast. In most cultures, exploring food means exploring history—and the Italian south has plenty of both to offer. The pasta-heavy, tomato-forward “Italian food” the world knows and loves does not actually represent the entire country; rather, these beloved and widespread culinary traditions hail from the regional cuisines of the south. Acclaimed author and food journalist Katie Parla takes you on a tour through these vibrant destinations so you can sink your teeth into the secrets of their rustic, romantic dishes. Parla shares rich recipes, both original and reimagined, along with historical and cultural insights that encapsulate the miles of rugged beaches, sheep-dotted mountains, meditatively quiet towns, and, most important, culinary traditions unique to this precious piece of Italy. With just a bite of the Involtini alla Piazzetta from farm-rich Campania, a taste of Giurgiulena from the sugar-happy kitchens of Calabria, a forkful of ’U Pan’ Cuott’ from mountainous Basilicata, a morsel of Focaccia from coastal Puglia, or a mouthful of Pizz e Foje from quaint Molise, you’ll discover what makes the food of the Italian south unique. KATIE PARLA, a New Jersey native, is a Rome-based food and beverage journalist, culinary guide, and educator. She is the author of KatieParla.com, the Saveur Award–winning food and travel site, the ebook Eating & Drinking in Rome, more than twenty travel guides, and coauthor of Tasting Rome (2016), winner of the IACP Award for best international cookbook. Her travel writing, recipes, and food criticism appear in the New York Times, Food & Wine, Saveur, Australian Gourmet Traveller, the Guardian, AFAR, Condé Nast Traveler, Punch, Eater, and more. Follow her on Instagram and Twitter @katieparla.